Ania’s project is an investigation of the echo chamber phenomenon in news consumption on social networking sites. It incorporates elements of Actor-Network Theory, Bruno Latour’s ‘matters-of-concern’ and Participatory Design (PD) methodology to identify and unpack contributing factors to the formation of echo chambers. 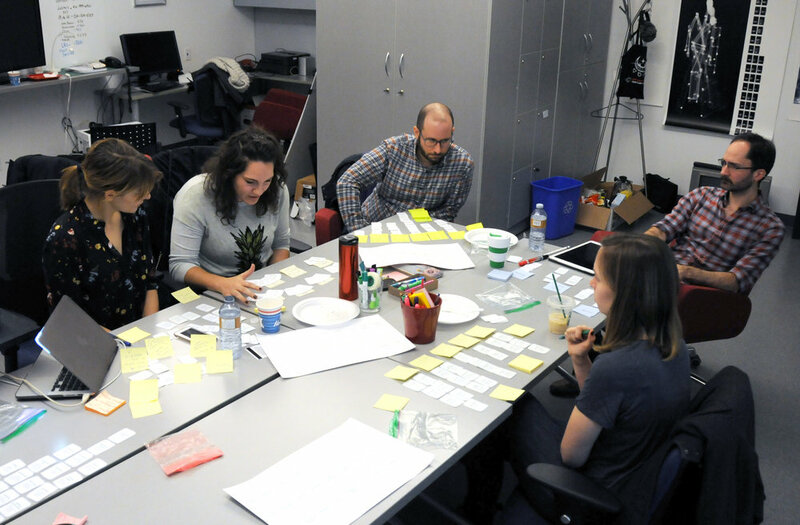 As part of the research, a design piece called Echology was conceptualized and developed during a series of PD workshops with news industry professionals. The goal of Echology is to challenge readers to step out of their personalized news feeds and think critically about the selective algorithms that govern online news experiences. Ania Medrek is an editorial designer. She graduated from Ryerson University’s journalism program in 2012 and has worked in news production and presentation since. She is interested in the intersection of research, journalism and design and how the three can be used together to create engaging experiences for news readers. Ania has been recognized by Canada’s National Newspaper Awards and the international Society for News Design for her work in the National Post. She is a Master’s of Design candidate in the Digital Futures program.